10th (1st Gwent) Bn, South Wales Borderers, 115th Brigade, 38th Division, B.E.F. 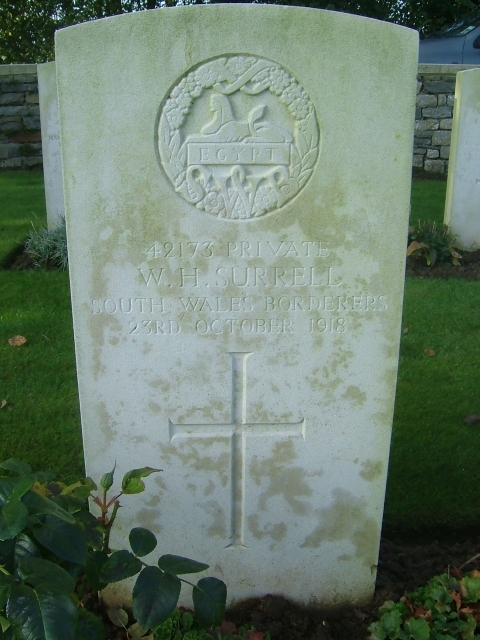 William Surrell, a baker’s son was born in Malvern Wells, and enlisted in the Herefordshire Regiment at Ledbury. At this time he his home address as the Old Wyche. 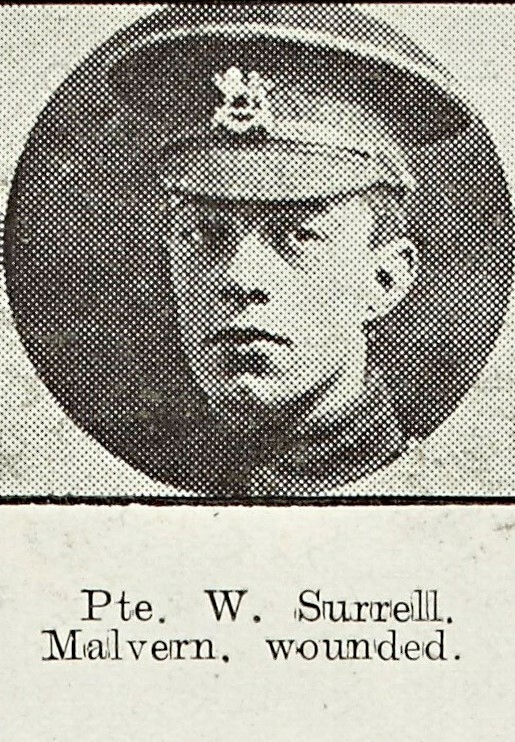 The Malvern News reported that he had been wounded in action in August 1917 with the South Wales Borderers, probably during the Passchendaele Offensive. He was wounded again during the Hundred Days when the German army were being pushed back towards the border, but this time more seriously: he died of his wounds less than three weeks before the end of the war.